The mission isn't all about unearthing treasure chests of gold doubloons. Of the items the dive team has discovered, many are for war games: cannons, cannon balls, and various other pirate weapons of mass destruction. 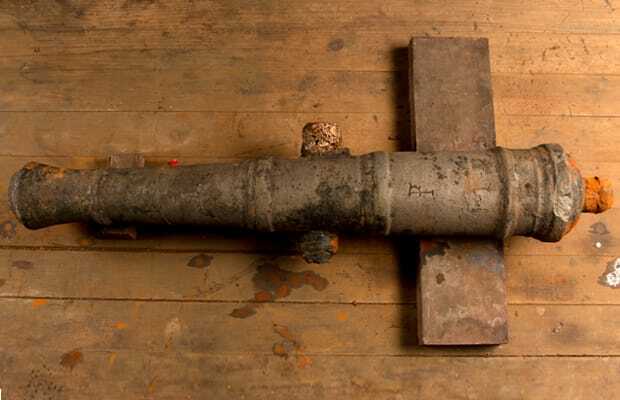 When the team removes an item from the wreckage it is transported to Panama City where it undergoes a long chemical process of reconstitution and preservation like this cannon (pictured above).